It's a question which is being asked with more and more frequency as we want our kitchens to have as much design longevity as possible: What elements make up a kitchen design that translates into a timeless look? The question comes to mind now as I think about my trip to Spain, from which I have just returned. I was invited to travel to Spain to speak about American kitchen design trends as a guest of Autokitchen, an exhibitor and partner of the SICI fair, at which I and my colleague, Roberta Kravette, conducted our presentations. Spain is amazing. Amazing IS the word! I have visited Spain once before, many years ago. 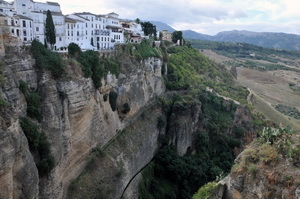 Roberta and I took the opportunity to travel to Malaga, Ronda, and Granada, leading up to the SICI fair in Madrid. So, the word "timeless", as we traveled through these ancient cities, is the first concept to grasp in my consciousness as I write this first post on my experience in Spain. The culture of Spain....the food, its landscape, the architecture and interiors spoke to me in a way that I did not expect. On the second day of photographing endlessly (my obsessive side emerges when I have a camera in my hands and over the course of 5 days, I took a good 1500 images) I felt "it." I saw centuries' old design elements that are perfectly in sync with today's modern kitchens and interiors. 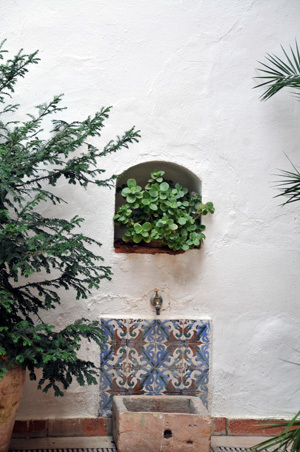 The patterns, the flooring, the tile, the colors, the decorative details from ages long past are without question the foundation of a timeless style. Most of all...take your time and research to find what speaks to you! I have much more to share about my trip to Spain, including the purpose of the trip...my invitation to speak at the SICI (kitchen show), a request for a meeting in Madrid (via email) by a lovely Spanish couple which was REALLY a treat (I met with them), and the many beautiful things I saw at the kitchen show. More soon!!! Here is an autokitchen image...no, it's not a photograph, it's a rendering!